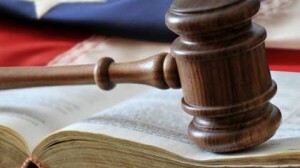 Home » Why Hire A Personal Injury Attorney? J.M. Dennis & Associates concentrate on personal injury claims. Our law firm doesn’t practice in every area of law… we focus on what we do well, and that is helping hurt people. We know how to build a successful case from the outset and realize what the Fortune 500 businesses and insurance companies will use to minimize and/or deny your injury claim. There are simply too many hazards and traps for most injury victims to navigate by themselves. Let our law firm handle the fight while you focus on recuperating from your injuries. We will deal with the liable party’s insurance company, and work with your insurance company, mechanics and body shops, your doctors and other medical providers, your healthcare insurer, and any other interested parties. If needed, we will file a lawsuit and litigate your case all the way to Trial by a jury. Your personal injury case is taken on a contingency basis. If we are unable to help you recover a settlement, you don’t pay us a fee.